deploying, and servicing their analytics solutions. Adaptive Insights, a Workday company, powers a new generation of business planning. We transform the planning process into a strategic advantage for more than 3,800 organizations around the world with powerful modeling that’s easy for everybody who plans. Our Business Planning Cloud platform enables organizations of all sizes to adapt to changing business conditions with confidence and agility. Adaptive Insights is headquartered in Palo Alto, CA. To learn more, visit www.adaptiveinsights.com. Being a Gold IBM Business Analytics Partner, allows QueBIT to provide products, services, and technology expertise that help our customers improve and direct corporate performance. IBM Analytics solutions span the entire spectrum of analytics, from data management, including Big Data strategy and implementation, Business Intelligence, Business Planning, Predictive Analytics and IoT Analytics. 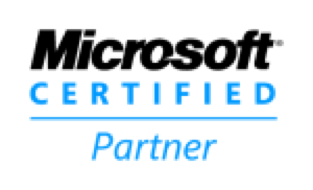 QueBIT’s partnership with Microsoft grants us access to this industry giant’s most sophisticated development resources, support personnel, and testing facilities. Most importantly, this alignment demonstrates our long-term commitment to emerging technology. Since its inception in 2004, Theobald Software has grown to become the leading provider for SAP integration solutions. Our partnership with Microsoft and SAP, together with our customer focused innovation and professional services, have helped us to work with over 2,500 customers worldwide.Our products enable all common third-party systems to integrate with SAP. In addition to Microsoft SQL Server, Azure, Power BI, SharePoint, and O365 our products work with data warehouse and storage solutions – from AWS, Oracle, Teradata, SAP HANA and EXASolution, – as well as BI solutions from Tableau and Alteryx, Qlik and BOARD. Founded in 1989, MicroStrategy (Nasdaq: MSTR) is a leading worldwide provider of enterprise software platforms. The Company’s mission is to provide enterprise customers with a world-class software platform and expert services so they can deploy unique intelligence applications.